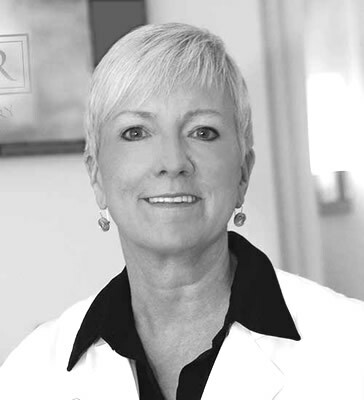 Dr. Kathy L. Rumer is a leading aesthetic and reconstructive plastic surgeon with a private practice on Philadelphia’s Main Line. Board-certified in plastic surgery, Dr. Rumer’s practice offers state-of-the-art procedures, cutting edge product offerings, and innovative technologies that achieve the maximum results for her patients. Dr. Rumer and her qualified staff will outline every step throughout the process; discuss options, alternatives, risks, and benefits of every treatment approach. After an extensive discussion and comprehensive evaluation, the plan will be implemented and will result in personal satisfaction… one individual at a time. Before the surgery, I was kind of nervous, but Dr. Rumer was right there by my side to assure me that everything was going to be okay. Dr. Rumer brings a unique background to her practice, combining advanced mathematics, engineering, art, and science to provide her patients with the best possible experience in their cosmetic endeavors. She received her Bachelor’s degree from Ursinus College, with a major in Applied Mathematics. She also acquired a formal education in Fine Arts and engineering. Following college, Rumer was an Aerospace engineer and a member of various NASA satellite launch teams. After spending more than a decade working for a renowned aerospace technologies firm, Dr. Rumer wanted to make a commitment helping others, which led her to pursue a career in medicine. Dr. Rumer earned her medical degree from Philadelphia College of Osteopathic Medicine, where she also completed a fellowship in plastic and reconstructive surgery and a residency in general surgery. It was during her fellowship that her interest in transgender healthcare was piqued after participating in a Gender Reassignment Surgery for the first time. That moment led her to focus her medical career on serving the transgender community. When Dr. Rumer opened her own practice in 2007, word traveled quickly throughout the transgender community and, due to high demand and her specific expertise, Rumer Cosmetic Surgery shifted its focus to gender affirming surgeries and procedures. Dr. Rumer is well-versed in transgender health, with an extensive background that includes surgical collaboration abroad with internationally-recognized experts, presentations, clinical research and the development of scholarly articles. Dr. Rumer also performs a full range of cosmetic procedures for the face, body, breast, and hair restoration, both invasive and non-invasive. These in-house aesthetic procedures help patients gain additional benefits after surgery, or can provide noninvasive options when surgery is not the answer.